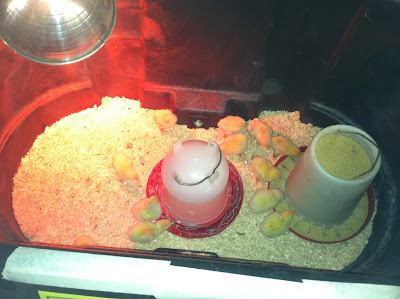 Yesterday I went to a Mother Earth News Homesteading Fair in Lowville, NY. It was located at the Maple Ridge Center, kind of a hybrid farm, winter recreation retreat, and Christian education facility. Thankfully, the event was secular in nature and thus very accessible. The cost was only $10 for a whole day ($15 for the weekend) consisting of vendors, food, children’s activities, live demonstrations, and workshops. The workshops and demonstrations were lead by experts such as educators in the Jefferson County Cornell Cooperative Extension, farm vets, the New York State DEC, maple syrup orchards, the Tug Hill Tomorrow Land Trust, alternative energy experts, and the Sustainable Living Project. 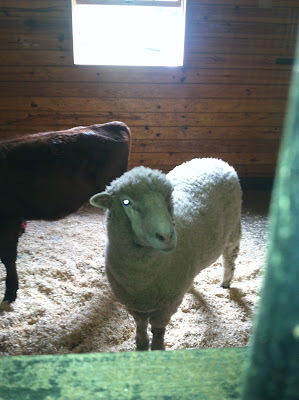 A sheep at the Maple Ridge Center. Made me think of Brighid and my love of fiber arts. Photo by Grey Catsidhe, 2012. For me, honoring and working with Nature Spirits and the Earth Mother doesn’t stop at lip service and offerings at an altar. It must include ongoing attempts to live in better harmony with the Nature spirits and more sustainably upon the Earth Mother. My Druidry is a series of baby steps towards improving those aspects of my life, and attending such a fair helped me better understand the future steps I’d like to take. I was able to attend four workshops at the event. The first was on solar panels and the differences between living off the grid and tied to the grid while utilizing this renewable resource. I now feel like I have a better understanding of solar power including the planning involved to install it, the different types of mounts, and the batteries used to store the energy in an off grid scenario. The next presentation was all about vegetable gardening for beginners. Although I have a few years under my belt, there’s always room for improvement. I learned about the different types of blight, how and when to properly water, and hand-pollinating squash. I received some handouts from that workshop that I think will help me better plan when I plant and transplant. The final two workshops we attended were presented by Jim Juczak of Woodhenge Sustainability. This man actually built a mortgage-free home using recycled materials in Adams Center, NY. His workshops were of particular interest to my husband and I since we have started to think about taking this path to home ownership. Juczak’s first workshop was on “rocket stoves” and burning wood efficiently and sustainably. I’ve been seeing rocket stoves all over environmental blogs lately and was excited to learn more. Juczak actually taught people in Afghanistan how to build and cook with them to help them live more sustainable, affordable, and healthy lives. A major point of the workshop was that we are reaching a point where fossil fuels are becoming more difficult to obtain and, as a result, more expensive. Something has to give, and the rocket stove could be one possibility for families. He also shared other examples such as a masonry heater like the one he built out of recycled cement cylinders. Jim Juczak’s last workshop of the day was about “scrounging” – gathering old materials and using them to build a home. This was especially useful to Weretoad and myself. It included everything from buying “damaged” land, dumpster diving, buying scrap building materials for dirt cheap, and the realities of building a home mortgage free. To see that someone in Jefferson County did this is so uplifting to us. It is also nice to know of educational opportunities that can better inform us to prepare and free ourselves from the debt that so often seems to be the rule of the land. We left the fair full of date-filled cookies, new information, and hope that we can live more sustainably and relatively debt free. It means changing your life, saving, and having to be patient, but it also means a nice, comfortable tomorrow. It means that when I whisper my desire to grow in better harmony with the Nature Spirits and Earth Mother, I’m actually working on just that. Sounds like a great time. I’ve wanted to attend one but there aren’t any in my area. A desire to be closer to Mother Earth is what led us to purchase this farm and what now inspires me to provide a sanctuary for medicinal herbs, honeybees, and the Nature Spirits. Doing things as close to debt-free is definitely the way to go and it’s a lesson I wish I would have learned sooner. What you guys have looks amazing! I would love a property like that one day. The Homesteading Fair in Northern NY was the first – so perhaps you could organize one in your neck of the woods!